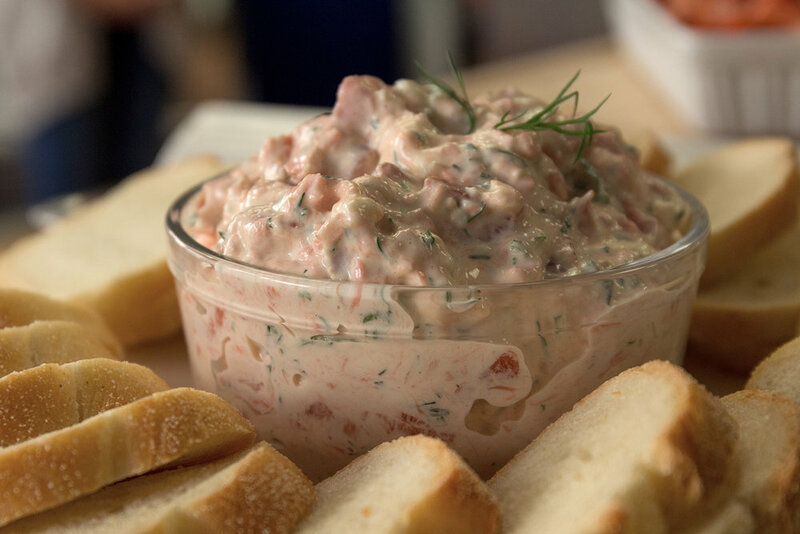 We teamed up with Jenice Yu of Fresh Ideas Start Here to prepare this quick and easy appetizer recipe using Wild BC Salmon. Remove any skin from your salmon. Place your salmon in an oven safe dish. Sprinkle with salt. Cook for 25-30 min at 300ºF. Smoked salmon: Chop up into small pieces. Add your cooked salmon and the diced up smoked salmon in a bowl. Add the cream cheese, mayo, fresh dill, fresh parsley, lemon juice and a pinch of salt. Mix together till blended and then let chill in the fridge for about 20 minutes. Serve with fresh bread or crackers. Enjoy!